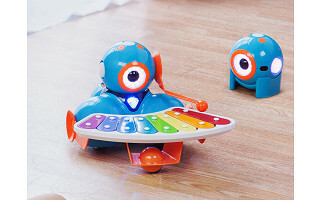 Dash and Dot are robots that bring computer logic into the real world and elevate coding from interesting to inspirational. Coding is now cool. Schools know that programming promotes logical and creative thinking. The folks over at Wonder Workshop recognize that power, but have gone a step further by adding hands-on interaction to the mix. Dash and Dot are adorable robots with impressive capabilities. They can move, turn, flash lights, respond to a voice, make sounds, react to each other, and more. Program them to move through a maze or dance to a song. The possibilities are endless, especially with the available Xylophone or Building Brick accessories. Kids as young as 5 can program Dash and Dot using the free Path and Go apps. (Don’t worry, Dash and Dot are designed to be durable). For older kids (8-12), the Blockly app offers more complex challenges and capabilities. There’s even an open API for programming in Java and Objective-C. Give coding a fun new life with Wonder Workshop. When kids interact with Dash & Dot, it’s a foundation for skills they’ll certainly use again and again. Hello everyone! I'm proud to introduce the Dash & Dot from The Wonder Workshop to The Grommet. I'd be happy to answer any questions you have! Dash and Dot give kids a limitless outlet for creativity. When you were developing this product, what pieces of its functionality did you consider vital? 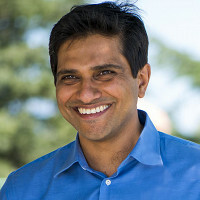 When designing the product, engagement was our number one priority. Everything from the looks, to the apps, to the personalities are designed to be kid-friendly and appealing! Why is this something people should be buying for kids in their life? Or you know, a 24-year-old should buy for himself? Our oldest customer is 76 and teaching himself how to code! Our recommended ages are 5 to infinity! Coding is present everywhere in today’s world, so it is important for kids to begin learning these concepts early, just like reading or math. Where do you see Dash and Dot making an impact in educating and in what way? Dash & Dot are in about 300 schools across the world currently and we’ve found that kids really engage with the product. They refer to them as their friends and teacher use robot time as a reward! Kids are learning across different subjects with Dash & Dot—we have curriculum support math, science, and English language arts. Dash & Dot know they are friends to all humans—especially those of the younger variety! :) They give kids the skills to help prevent the robots taking over, since kids will learn how to control robots! While Dot can be thrown, it does not move on its own—no major threat there! That is incredibly comforting, Eleanor, thank you so much! I have a 1st generation ipad, will it work? @Katrin iPad 1 and iPad 2 will not work with Dash & Dot as the Bluetooth version is incompatible with Dash & Dot. The robots use Bluetooth 4.0/LE. 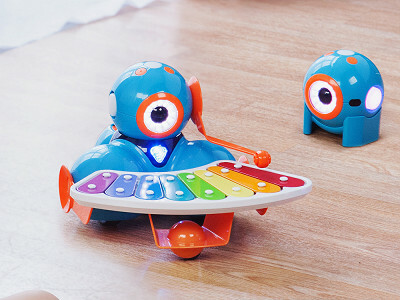 Dash and Dot are robots that bring computer logic into the real world and elevate coding from interesting to inspirational. Coding is now cool. Schools know that programming promotes logical and creative thinking. The folks over at Wonder Workshop recognize that power, but have gone a step further by adding hands-on interaction to the mix. Dash and Dot are adorable robots with impressive capabilities. They can move, turn, flash lights, respond to a voice, make sounds, react to each other, and more. Program them to move through a maze or dance to a song. The possibilities are endless, especially with the available Xylophone or Building Brick accessories. Kids as young as 5 can program Dash and Dot using the free Path and Go apps. (Don’t worry, Dash and Dot are designed to be durable). For older kids (8-12), the Blockly app offers more complex challenges and capabilities. There’s even an open API for programming in Java and Objective-C.